What a unexpectadly warm evening ths one was. We found ourselves at Ault enjoing the beautiful views and lavish landscape, as always, but unlike most September evenings, this one felt much too much like Summer. 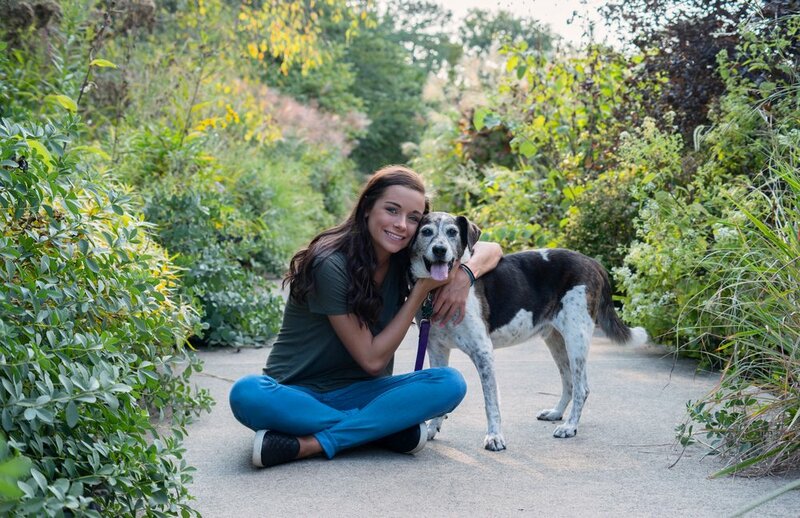 This beautiful senior, her adorable pup and her wonderful mom, persevered through the heat, while an unusual number of people around us did too. Though as hot as it was, you wouldn't have known it by this beauty because it did not take away from her one bit. Sarah, Julie and even Oreo, it was wonderful spending the evening with you three. You guys were such troopers to allow me to drag you all over the park as we shot and I am so grateful for it. I look forwad to hearing what is in store in the coming year and trust that it will be beyond measure.